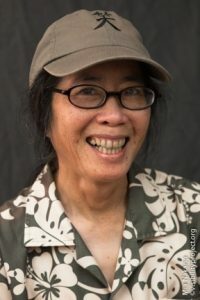 CHSA is proud to present two workshops on documentary photography in support of the Smithsonian Asian Pacific American Center’s “A Day in the Life of Asian Pacific America” online photo/video exhibition set for May 2014. 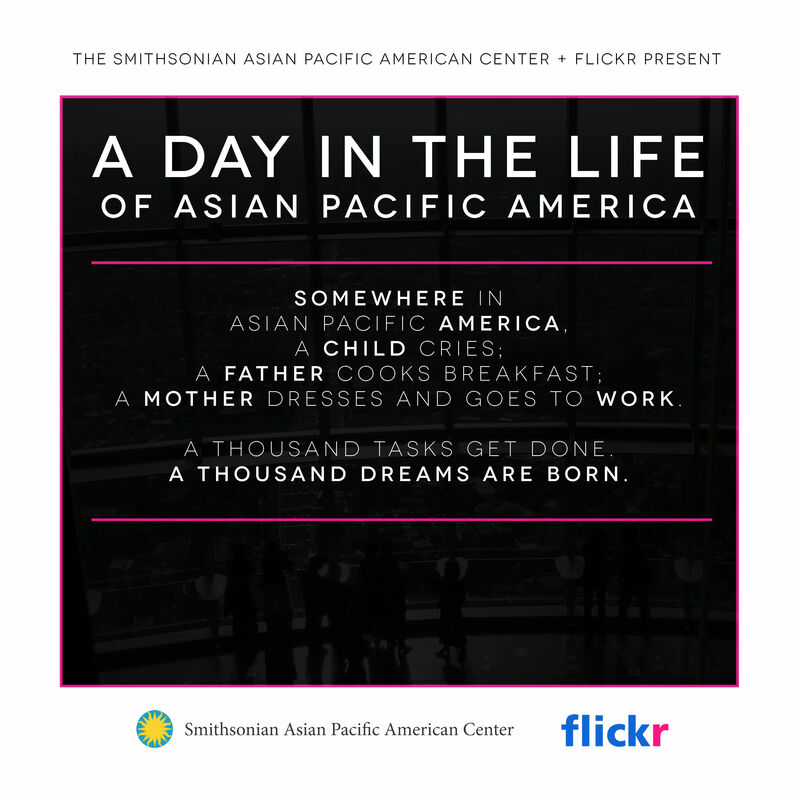 The project will collect thousands of photographs about Asian Pacific American daily life taken on May 10, 2014 and produce an exhibit at http://apa.si.edu by May 26, 2014. Over 50 professional photojournalists, documentary film/video makers, and artists are participating in the project along with thousands of photo enthusiasts of all ages and backgrounds. This is the second workshop in the series, which takes place on Saturday, April 12 at the CHSA Learning Center, 965 Clay Street, San Francisco from 2 pm to 4 pm. This workshop will feature photographers Lenore Chinn, Bob Hsiang, and James Sobredo, who will present slides of their documentary photography and discuss how they approach their work. Also, read more about the first workshop on Saturday, April 5 with photographers Leon Sun, Laura Ming Wong, and Leland Wong. Both workshops will be moderated by Eddie Wong, guest curator for the “A Day in the Life of Asian Pacific America” online photo/video exhibition. He will answers questions about how to join the project and upload photos and videos to the Smithsonian Flickr group. The workshops are free and open to the public. Come learn about documentary photography and join this national and international effort to reflect upon Asian Pacific American life. For more information about the project, visit http://SmithsonianAPA.org/life2014.pdf. For more information about CHSA, call 415-391-1188 x101 or email info@chsa.org. Lenore Chinn is a San Francisco based artist who focuses on the depiction of a wide spectrum of people in all their diversity and color. Portraiture is at the core of her visual art practice whether it is painting or photography—both are employed in her creative process. A moment in time spontaneously captured by her digital camera, transmitted to acrylic on canvas, conveyed in modern archival print or shared on Facebook, these images document everyday life. As a body of work they are visual narratives that constitute an art history largely hidden from the public’s perception of society and our particular collective experience. I was born and raised in New York City. My interest in photography began while in middle school when my brother showed me how to develop film in the bathroom. In high school I took photographs and learned how to shoot 35mm film. While attending college at SUNY at Buffalo, I continued my photography self-education as the editor of the school newspaper covering various events. At that time, protests against the Vietnam War became front-page news. After graduation, I continued to photograph student and worker activism in NYC, joining the Asian American Movement. Then in 1974, I moved to San Francisco and began photographing various political and cultural activities associated with the Third World Liberation movements, Asian American awareness and the International Hotel struggle for low-income housing. Since I needed a real job, I started freelancing my work, sustaining my small family with various photography jobs. Consequently, I built a business that centered around my strengths as a shooter— mainly art & cultural events, portraiture, studio work. Today I operate a studio in San Francisco and service both the corporate and not-for-profit organizations. James Sobredo is an Associate Professor of Ethnic Studies, Asian American Studies Program, at California State University in Sacramento. He has a Ph.D. from UC Berkeley in Ethnic Studies. 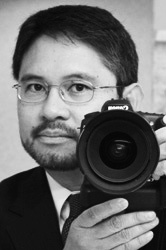 A multimedia documentarian and social documentary photographer for 20 years, his graphics, photographs and articles have appeared in The New York Times, AsianWeek and magazines such as Filipinas and Pacific. An avid long-distance backpacker and mountaineer, Sobredo is also a practitioner of Vispassana Buddhism. 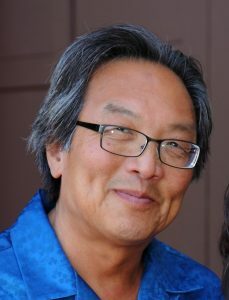 Eddie Wong is one of the founders of Visual Communications, a non-profit media company that produced books, slide shows, photo exhibits and films about the Asian American and Pacific Islander experiences. 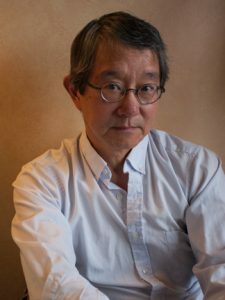 He directed and produced the following documentary films: Wong Sinsaang, Pieces of a Dream, Chinatown Two-Step, Something is Rotten in Little Tokyo, and the Sound of Pleasure. He also served as the Executive Director of NAATA/Center for Asian American Media and the Executive Director of the Angel Island Immigration Station Foundation. Now that Eddie has retired, he has more time to take photographs and explore art projects. The Smithsonian Asian Pacific American Center serves as the national resource for discovering the consequence and complexity of the Asian Pacific American experience through collaboration, exhibitions, programs and digital experiences. The vision of the Center is to enrich the appreciation of America’s Asian Pacific heritage and empower Asian Pacific American communities in their sense of inclusion within the national culture. More information at apa.si.edu.